One can get an argument about who is the greatest environmental U.S. president—maybe Teddy Roosevelt, maybe Richard Nixon, maybe even Abraham Lincoln. But there can’t be much argument about the greatest environmental vice president. 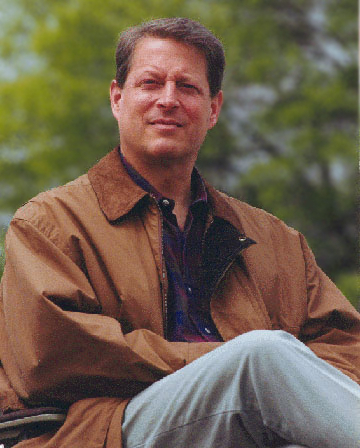 Or perhaps, it is best to say the greatest environmentalist to become vice president—Al Gore. Albert Arnold Gore, Jr. was born on March 31, 1948. Because his father was a U.S. representative, the young Gore was born and raised in Washington, DC. He spent summers on the family farm in Tennessee. He graduated from Harvard and then served in the U.S. Army, both in the U.S. and in Vietnam. On his return from military service, he worked as a reporter and later enrolled in law school. But he quit law school to enter politics. He served Tennessee as a Congressional Representative for four terms, from 1976 to 1984. He then moved on to the Senate, serving from 1984 to 1992, when he became the Democratic candidate for vice president, running with Bill Clinton. He was elected twice, serving as vice president from 1992 to 2000. He ran for president in 2000, but lost in the highly controversial election of George W. Bush. Throughout his political career, Gore was an advocate for environmental sustainability. He held the first congressional hearings on human-induced climate change in 1981. As a senator, he pushed for a Global Marshall Plan that would address the earth’s environmental problems and solutions. As vice president, he led efforts for climate change mitigation and for global education on environmental matters. Through the National Academy of Sciences, he procured a NASA program to launch a satellite capable of detecting global air pollution and climate changes. He led the Senate’s delegation to the Rio Earth Summit in 1992, and he signed the U.S. commitment to the Kyoto Protocol on Ozone-depletion in 1997. Gore has not slowed down since receiving the Nobel Peace Prize. He has written four more books about the environment, focusing mostly on climate change impacts, mitigation and adaptation. He advised former President Barack Obama on climate and environmental matters, leading to the U.S. leadership of the Paris climate agreement. He created a series of concerts to raise global awareness of climate change; the concerts brought together 150 famous performers in concerts in 30 countries, reaching 2 billion people in total. He founded and provided major funding for the Climate Reality Project, which empowers “everyday people to become activists, equipped with the tools, training, and network to fight for solutions and drive change planet-wide.” The project boasts 19,000 climate leaders in omore than 150 countries. Aldred, Jessica and Laulren Goodchild. 2007. Timeline: Al Gore. The Guardian, 12 Oct 2007. Available at: https://www.theguardian.com/environment/2007/oct/12/climatechange1. Accessed March 29, 2019. Climate Reality Project. Our Mission. Available at: https://www.climaterealityproject.org/our-mission. Accessed March 29, 20o19. Climate Reality Project. 2015. 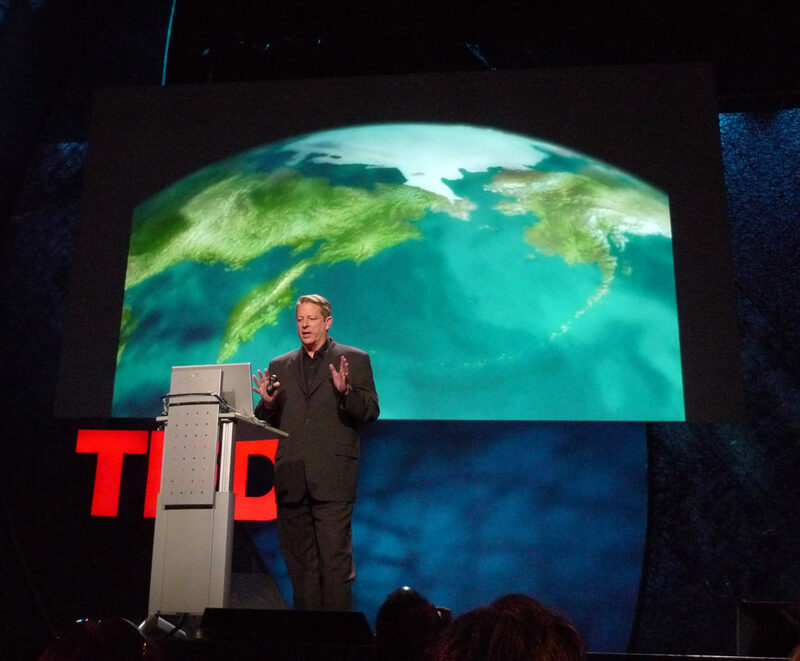 Ten Times Al Gore Inspired Us to Act on Climate. Available at: https://www.climaterealityproject.org/blog/ten-times-al-gore-inspired-us-act-climate. Accessed March 29, 2019. Al Gore. Climate Leadership. Available at: https://www.algore.com/about/the-climate-crisis. Accessed March 29, 2019. Nobel Organization. The Nobel Peace Prize 2007. Available at: https://www.nobelprize.org/prizes/peace/2007/summary/. Accessed March 29, 2019.